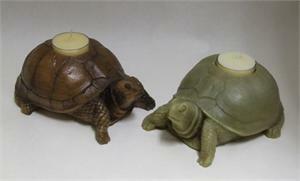 Turtle Candleholder has room for a tealight candle on its back. Made entirely of wax and available in various colors. Comes with a tealight candle.